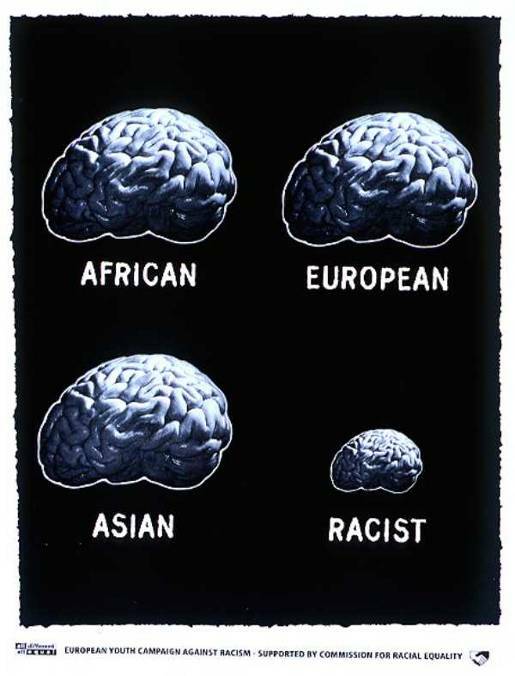 European Youth Campaign Against Racism, supported by Commission for Racial Equality, worked with Saatchi & Saatchi London to produce this print advertisement featuring four brains: that of an African, a European, an Asian, and a Racist. Small minded discrimination exposed! The Racist Brain campaign was developed at Saatchi & Saatchi London, UK, by creative director Adam Kean, art director Ben Nott, copywriter/typographer Adam Hunt, and photographer Nadav Kander. Music in the video is Cypress Hill, Insane In The Brain.